normal blue, ivory white cow foot. The product is described as follows:. - HOSO: Head on shell on shrimp. - HLSO: Headless shell on. - PD (or PND): peeled and deveined shrimp. - PUD: peeled undeveined shrimp. - Nobashi: Nobashi PTO shrimp is prepared in accordance with Japanese customers. Nobashi in Japanese means squeeze softened. Although called squeeze shrimp, in fact, also a few other requirements, such as cuts, tail handle ... With these differences, the manufacturers usually put them in a separate item is shrimps Nobashi. 1. Black Tiger, Vannamei head on shell on frozen Semi block. Head on shell on shrimp is the simplest form of processing, shrimp almost no change in shape. Shrimp can block frozen or semi IQF . This item exported to Korean market. 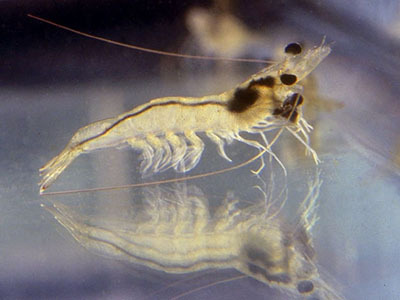 Nobashi shrimp are: cutting, injection stretch, pull the tail water, then soaked in chemicals. This item comes from Japan. 7. Black Tiger, Vannamei PTO frozen IQF. Like shrimp PD, but this item is peeled shrimp leaving again not a burning tail, according to the size of the appropriate size, soaked in chemicals frozen IQF 800g, 900g or 1kg/bag x 10 for one carton. Like PD item is cooked peeled shrimp, but this item is peeled shrimp leaving again not a burning tail (burning 6) the appropriate size distribution size, chemical soaked, cooked, frozen IQF 800g, 900g or 1kg/bag x 10 for one carton. This item exported to Korea, Europe.